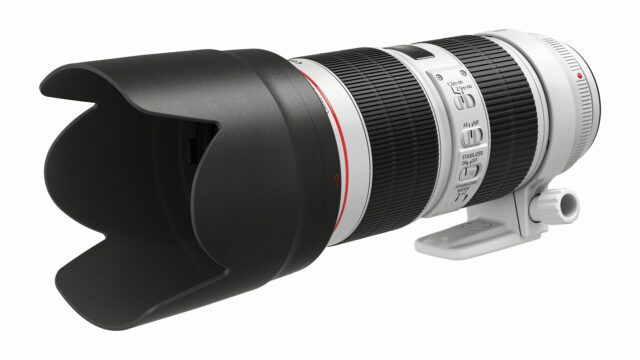 The 70-200mm telephoto lens is a staple in many kit bags. The focal range provides massive shot flexibility, and if you have the f/2.8 models, shooting in low light isn’t an issue. The Canon 70-200mm F/4L IS USM and the Canon 70-200mm F/2.8L IS II USM have dominated the market for many years, with impeccable image quality and resolution, and incredibly reliable stabilization. These new models from offer updated features, in the familiar housing of the trusted telephoto lens. The EF 70-200mm F/4L IS II USM gets a 5-stop Image Stabilizer which aids in keeping the image steady; ideal when using a camera without a stabilized sensor or when filming in a fast paced environment. 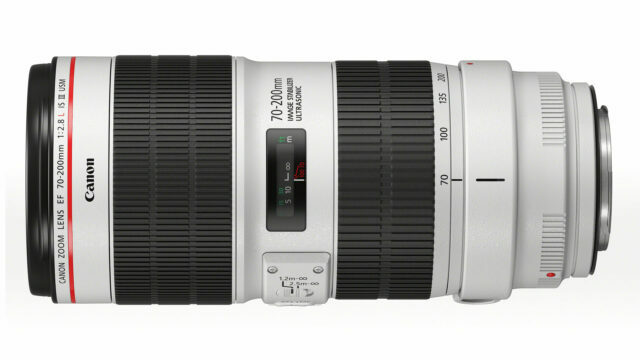 The Canon 70-200mm F/2.8L IS III USM with lens hood attached. The EF 70-200mm f/2.8L IS III USM get a 3.5-stop Image Stabilizer, with weather sealing and the maximum aperture of f/2.8 for a smooth bokeh. It is considerably heavier than its f/4L brother, weighing in at 1480g (3.2lbs), and has a minimum focus distance of 1.2m. The fact that they were able to improve the stabilizer in those lenses even further is impressive, considering the fact that it has been one of the most reliable stabilizers in the market before already. We’ll see in testing how much better it is now and can compare side-by-side to the predecessor models we both have in house at cinema5D HQ in Vienna. Both lenses now include the new ring-type USM for faster and more accurate auto focus, which when paired with a Canon Cinema Camera with DAF, could be a winning combination for video auto focus. They are also receiving a lick of paint to bring them in line with the other telephoto L series lenses. New performance control CPU and firmware driving accurate auto-focus. Flourite coated elements to correct chromatic abberations. Dust and moisture resistant with protective seals. Flourine coated front and rear elements. New ring-type USM with silent auto focus. Apart from those key features, there are no new glass elements in the lenses, or any truly groundbreaking updates to the new models. The Canon EF 70-200mm F/4L IS II USM and EF 70-200 F/2.8L IS III USM are both workhorses, now with updated features like the 5-stop IS and ring-type USM that are beneficial to video shooters and photographers alike. However, are these updates enough to spend out on the brand new models? 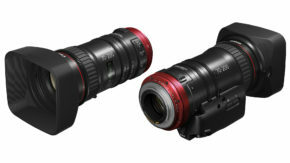 Both lenses will be available this Summer, and we expect to see them at both IBC and Photokina this year. Are your old Canon 70-200mm lenses due an upgrade? Are the features in these new models enough for you to bite the bullet and buy? Let us know in the comments. Of course, I reserve judgement until I test side by side but it appears that I won’t be upgrading from our 70-200 2.8 IS II, not really many compelling reasons to it appears. Honestly, it would be nice if Canon gave an update to lenses that need it more like the 17-55 2.8 IS, which is just as much a bread and butter lens for the S35/APS-C working pro as these lenses. 17-55 2.8 IS needs better build, improved dust sealing, next generation IS and STM would be handy for those of us who use it for video. The 24-70 2.8 is a great lens but not wide enough for S35 imagers as a verite’ lens and no IS. CNe 18-80 T4.4 is a great companion to either of these 70-200 lenses but is in a whole other price range.